Tagged as the group of death by everyone, including me, this is the group where I think one of the finalists will come from. World class players are littered around Van Persie, Wesley Sneidjer, Mario Gomez, and Cristiano Ronaldo amongst others. The Orange Boys, formerly apostles of total football (I think Spain has overtaken them) come to Poland and Ukraine 2012 on the backdrop of an almost flawless qualifying campaign and also playing in the finals of the world cup two years ago. The final against Spain rubbished their claims of good football as almost all the players were yellow carded plus the Kung-Fu routine Nigel De Jong had on Xabi Alonso. 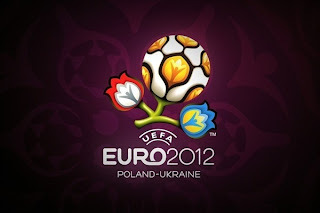 But they can redeem themselves in the Euros. Bert Van Maarwijk is embarrassed with talented players in midfield, Sneidjer and Van Der Vaart are midfielders that can get goals and create, Arjen Robben can threaten teams with his trickery down the flanks and Ibrahim Afellay is back from injury but I doubt if he will be starting, while Mark Van Bommel’s experience will come handy in defensively in midfield and Nigel De Jong is still much around. Getting goals shouldn’t pose much threat when you’ve got players like Robin Van Persie, Klaas Jan Huntelaar, Dirk Kuyt you can be rest assured of getting regular goals. My worry for them lies in their defensive frailties, Joris Mathijsen looks injury prone, Khalid Boulharouz had a good season in Germany but against tough opposition he looks a bit shaky, Gregor Van Der Wiel can always bump forward and help the attack. 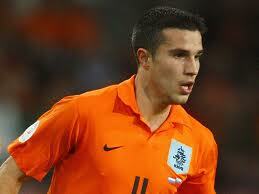 But you look at the fact that the Dutch will do more of attacking rather than defending. The Danes are the underdogs in this group, lost to Brazil and Russia in their build up games but wrapped up with victory over Australia. Coach Morten Olsen knows that it’s going to be a difficult terrain to navigate, but have they got the personnel? That’s the million dollar question. Defensively, they look a bit solid but inexperienced in big tournaments, Simon Kjaer and Daniel Agger are good defenders but lack experience on the big stage, Anders Lindegaard should be in goal but didn’t have much playing time with Manchester United. In midfield, they have the whiz kid Christian Eriksen who at his young age will be carrying the burden of creativity, Christian Poulsen and Simon Poulsen can also offer help in that department. 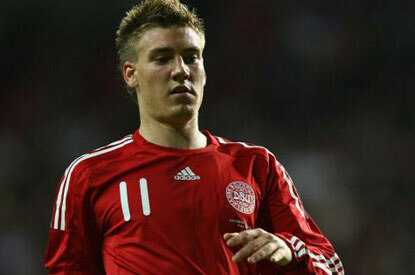 but going forward, Nicklas Bendtner and Dennis Rommedahhl will hope to get goals that might qualify them for the quarter finals. One of the top favourites for the title Germany will hope their star studded squad can get them this title, they’ve got balance everywhere on the pitch, Manuel Neuer is always solid as ever, Matt Hummels will be key for them at this tournament, Per Mertesacker has found it hard to partner Hummels and still looks unfit, meaning Benedikt Howedes or Jerome Boateng will be in central defence, Holger Badstuber should be at left back while Philip Lahm’s versatility allows him to play at right back. In midfield, I’m dazed by the quality they have so I will just reel out their names and you line them up Lars Bender, Mario Gotze, Ilkay Gundogan, Sami Khedira, Toni Kroos, Thomas Muller, Marco Reus, Bastian Schweinsteiger, Mesut Ozil. Joachim Loew realizes how important goal scoring will be at this tournament, in that vein Miroslav Klose, Mario Gomez, Lukas Podolski and Andre Schurrle will lead the line. Looking at this squad, you have the feeling that the midfielders can get them goals if the strike force goes to sleep. Another team critics have failed to give a chance is Portugal, the Iberian team also have a fantastic squad but fail to show up when it matter most. Cristiano Ronaldo still remains their go-to man but how many times has he shown up with the national team? Hopefully he can replicate his LaLiga form in Poland and Ukraine. Ricardo Carvalho and Jose Bosingwa are missing because of their frosty relationship with Paulo Bento the gaffer, but Rolando, Bruno Alves and Pepe are capable enough at the back. Fabio Coentrao is another decent player plus Miguel Lopes who had a fine end of the season with Sporting Braga. Another new name in the squad is Custodio who also plays in Braga, Joao Moutinho and Miguel Veloso are young bloods that will offer relentless energy in midfield, Nani and Ricardo Quaresma have got guile and trickery from the flanks. I can’t see beyond The Oranje (Netherlands) and Germany, they have a large squad that can score goals, for Portugal if they can beat Denmark they have a slight chance, but Denmark got the better of the Portuguese in qualifying. 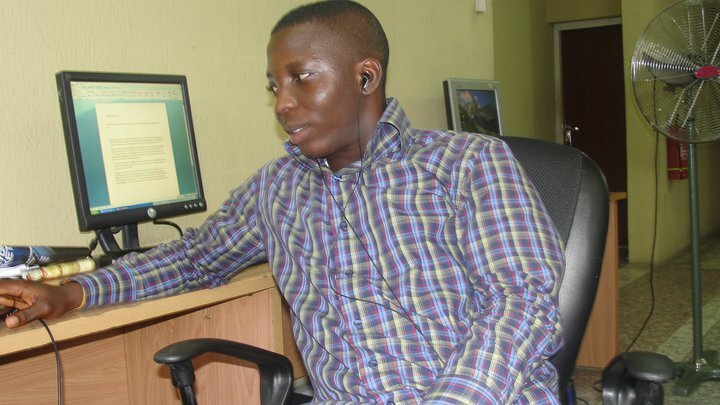 Olawale Adigun is a young and vibrant sport presenter who has enjoyed much accolades for his objective and expert analysis on sport issues. He works for Top radio and you can join on Back to Back Sport every morning by 6am and Sport Cafe every evening by 6pm on Top radio. 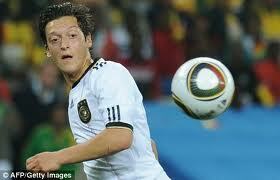 He is also on top sport on top radio every morning by 11am.